Parent/s’ e-mail address and contact/s (so that we can let them know you’ve arrived safely): Mom: [email protected], 703-795-3388 Dad: [email protected], 571-432-5820 (work), 703-280-5436 (home), 703-283-1095 (cell) Special dietary requirements (if any): none Favorite foods: I am currently going through my post-graduate phase where if food is placed in front of me, I will eat it, regardless of what it is. Pertinent health information/allergies: allergic trees, grass, mould, dust mites, ragweed (the usual seasonal allergies). I get treatment for these allergies in the form of shots every three weeks, but I am talking with my allergist to see if I can postpone the shots until after I return from Cape Town. This will most likely be the case. Religion/Denomination (Please indicate if you would like to attend services): Catholic. If services are available, I would like to attend mass on Sundays. BRIEF MOTIVATION OR RATIONALE FOR VOLUNTEERING: Ever since I started my college career at Boston College, the emphasis on volunteering while studying has been stressed. During my time of tutoring math and Spanish, I felt that I achieved the most personal as well as spiritual fulfilment, and I hope to repeat and perhaps even strengthen that fulfilment in South Africa this summer. “TWENTY THINGS THAT PEOPLE DON’T KNOW ABOUT ME”: 1. I am part-British, part-Indian, part-Iraqi, part-Spanish, part-Czech, and part-Polish. 2. I hope to get an MBA before I turn 30. 3. My favorite memory of college was holding the position of Director of Concert Organization for the University Chorale of Boston College. 4. My nickname is Spock (from Star Trek) because I approach all of my roommates’ dilemmas and girl problems with logic and rational thought processes. 5. If someone were to ask me, “Max, what do you picture heaven to be?” I would respond “Munich, Germany.” 6. My favorite movie series is the Christopher Nolan Batman trilogy, and my favorite musical artist is and always shall be the Swedish House Mafia. 7. Although I focused on mathematics and music at Boston College, my high school was a liberal arts great books school, so with the exception of math and science courses, I solely learned from primary sources and am therefore well-read in classical literature. 8. I am passionate about Audi vehicles. I don’t know why, but I just am. 9. I would definitely choose Macintosh over Windows any day of the week, although the new Nokia Lumia that runs on Windows Phone looks intriguing. 10. I think that everyone should learn Calculus I and II before he or she dies. It truly is an integral (no pun intended) part of the meaning of life. 11. My favorite summer was two summers ago, when I individually tutored students in math and Spanish, because I felt that I made that summer my most productive one through making other students’ summers more productive and fun. 12. I am technically an only child, but I have two half-brothers and two half-sisters, all within the ages of 38-44, from my father’s first marriage. 13. I am still a practicing Catholic, and having just graduated from a Jesuit university, I feel the need to educate others at this point in my life. 14. I hold a Bachelor of Arts degree in mathematics and was one course away from completing a minor in music. Ironically, the course I needed but was not able to take due to a class conflict was Introduction to African Music. 15. I am a lover of animals, especially dogs. My parents and I take care of dogs that retired after dedicating their lives to serving the blind. We usually take them in when they are 8-9 years old. 16. I interned for my father’s consulting company last summer and got a first-hand experience of observing my father’s dictator-like personality at work in contrast to his kind, warming personality at home. 17. My roommate once told me that when one has a problem or is suffering after a breakup, bad exam, etc., good friends will pat him or her on the back and give advice, but best friends will simply laugh. Since then, I firmly believe in this principle. 18. I have travelled to 14 countries (one in North America, two in the Caribbean, three in the Middle East, and eight in Europe), but I have never been to Africa (I consider Egypt to be part of the Middle East). 19. I am currently conversant in Spanish, and I hope to become fluent one day. My goal is to learn a new language every five years of my life. 20. I discovered WorldTeach last September through a fellow Boston College student who is currently in a graduate program after spending one hunan year in China volunteering with WorldTeach. He encouraged me to sign up and eight months later, I am ready for South Africa! WISH LIST: In addition to your volunteering service, what are you hoping to see/do/achieve/accomplish during your two months in Cape Town? Well after reading Alison’s email, I hope to improve my cooking skills while in South Africa! But in all seriousness, I am hugely interested in the museums and national monuments that Cape Town has to offer, as well as any chance for free exploration about the city. If there is time, I would like to participate in any experience to get close to some great white sharks, as I am also a shark enthusiast. I am hugely excited for this trip as a whole and know in my heart this will all be an amazing experience! for Astro Hitz.tv's Spinmaster DJ Competition. Blastique performs live with his integrated arsenal of MIDI gear, wireless technology & Ableton. GENRES. WEB. 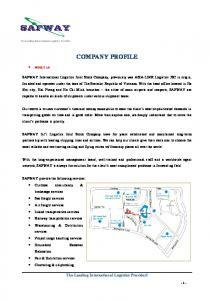 Client Tracker amp Customer Profile Log Keep Profile Log Book Journal Data ...... Phone No / Email / Occupation / Birthday / Appointment Date / Time / Service /. College Board, achieve more, Advanced Placement Program,AP, SAT and the acorn logo are .... From 1996â1999, nearly all students received scores on the recentered scale. ...... California University of Pennsylvania. PA. Private. 2,191. 3.1. Nama Tarbiyah At Tijaniyah diambil dengan niat tabarruk dari nama sebuah pesantren guru kami Al Habib. Jakfar bin Ali Baharun di Probolinggo â Jawa Timur. the year 2014 who participated in the SAT Program. Students are .... Table 17: Natural Sciences, Social Sciences and History ... Table 26: Intended College Major, Degree-Level Goal. Page 1. Page 3. Page 4 ...... Using Computer Graphics. company in 1992 to found ... architects. âI knew I wanted to work for a small, technology-driven company. ... We were using some basic reporting software. Page 1 ... Technologies. âTo take advantage of this demand, Dan Sachs ... attributes to his team's improved budget allocation across campaigns to drive more. ... DongDa district, Hanoi. Tel: 04. 3 9943046 (Ext: 85) - 04.3 9036933 Hot line : 0913004425. Email: [email protected] VienDong Design joint stock company. There was a problem previewing this document. Retrying... Download. Connect more apps... Try one of the apps below to open or edit this item. 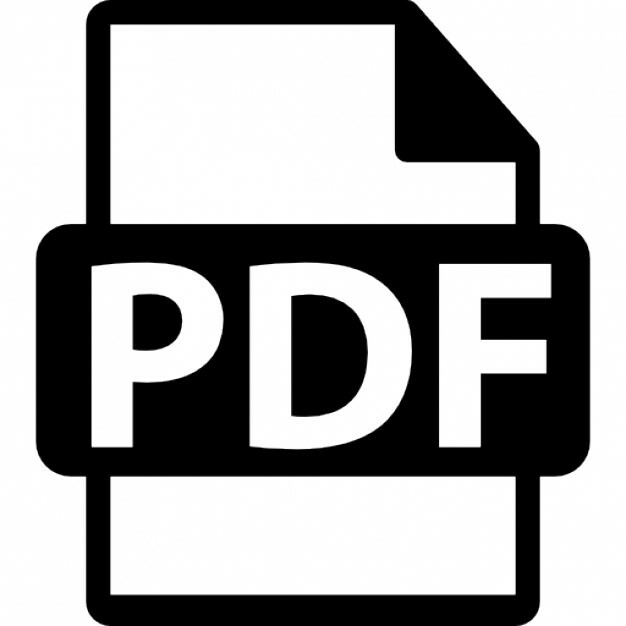 profile zola.pdf. There was a problem previewing this document. Retrying... Download. Connect more apps... Try one of the apps below to open or edit this item. profile law.pdf. There was a problem previewing this document. Retrying... Download. Connect more apps... Try one of the apps below to open or edit this item. Profile Yayasan. imports and exports including ... import/ re-export goods, aid ... SAFWAY is one of few forwarding companies which know how to handle customers' possessions. F +603 4162 1847 www.milehighsounds.com [email protected] PROFILE. BIODATA ... Play @ The Roof. Laundry Bar. The Pool, KL. Pisco Bar. Nagaba. Mai Bar. Phone No. Land Line: 04933-302088. Mobile: 9495622030. Management. Co-operative Society. No. of Treatment Packages Opted by the Hospital. Nephrology. ... Suchayagool. Telephone : 081-4207550. Contract Mr.Nakrit Poonprasit. Telephone : 081-4209300 .... Operation test switching device (manual/electric). 5.